Nissan’s second-generation Versa subcompact takes aim at the Hyundai Accent and Ford Fiesta, and it certainly comes out ahead on one front–price. 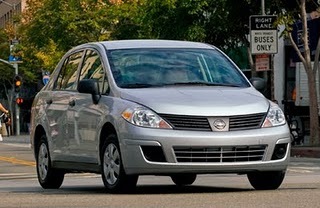 The 2012 Versa reaches Windsor Nissan in August. The redesign moves Nissan’s small car to its front-wheel-drive global V platform that weighs 150 pounds less than the last chassis and has 20 percent fewer components. The Versa has the same 102.4-inch wheelbase as last year but is refigured inside to increase rear legroom, exceeding even luxury vehicles such as the BMW 5-series and Mercedes-Benz E-class. The interior also gets upgraded cloth, a 60/40-split fold-down rear seat and improved instrumentation. The options include Bluetooth, satellite radio, USB iPod input and navigation. Under the hood is a 1.6-liter four-cylinder engine with two fuel injectors per cylinder. It turns out 109 hp and 107 lb-ft of torque. 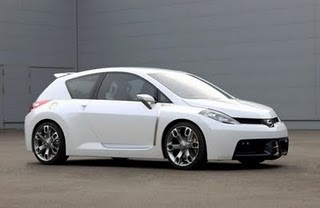 The engine is mated to either a five-speed manual (on the base model only) or continuously variable transmission. Fuel economy is 30 mpg in the city and 38 mpg on the highway with the CVT. The driving experience was exciting; the Versa was sporty and did not lag off the line even when stopped on sloped streets. As a passenger, the front and back seats were both spacious and comfortable. The navigation was basic and easy to use, with a 5-inch touchscreen and relatively intuitive buttons. It guided us from the Space Needle to the hotel without a hitch, though it surely lacks the sophisticated features of a pricier nav system.